TaxAid is a small charity which provides support to vulnerable, low income taxpayers. It helps taxpayers to understand the bits of the tax system that apply to them, pay the right amount of tax and resolve crises when things go wrong. In the last 25 years, the need for tax advice has grown. There has been a large increase in the number of self-employed people over the years and many more young adults have multiple employments, making the tax system much more complex for those on low incomes. TaxAid provides help for around 150 clients per week. Nearly half of TaxAid clients have multiple vulnerabilities, including mental health issues and may have undergone traumatic or life-changing events. Many have poor communication, numeracy or literacy skills or have medical, health or addiction issues. What sort of issues can TaxAid help with? TaxAid can help with most tax issues affecting individuals, sole traders and partnerships. They have in-house expertise in many specialist areas, including non-disclosure cases and International tax issues for those who are about to leave or have just arrived in the UK. 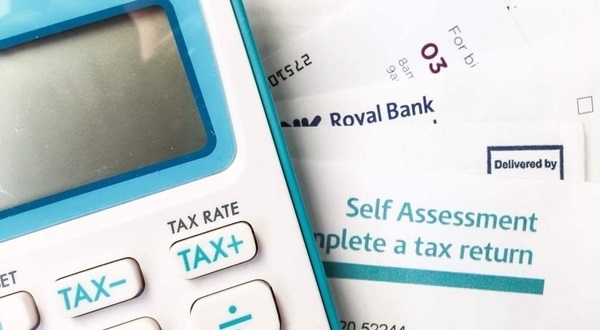 Tax debt advice is a particular speciality of TaxAid – HM Revenue and Customs (HMRC) is not like other creditors and TaxAid is the only organisation in the UK with 25 years of experience in this area. How do we contact TaxAid? A priority line for advisers (0300 330 5477, open 10 am – 4 pm). Advice can be given over the phone or consent forms can be issued which allow TaxAid to liaise with HMRC on behalf of the taxpayer. TaxAid can also give advice via email and face-to-face appointments can also be arranged in London, Manchester, Birmingham and Newcastle. Mr S left school at age 14 and has a low level of literacy and numeracy. His lifestyle was somewhat chaotic and he had no permanent place of residence for an extended period. He survived by selling off his personal belongings. Mr S was self-employed for just one day in 2010/11 and earned £50. He did not feel confident enough to file his own tax return. So his mother, in an effort to help him, prepared and filed his 2011 tax return on his behalf. Unfortunately, however, she made a serious mistake, resulting in a very large tax bill for Mr S.
When it became apparent that the tax liability was incorrect, Mr S (in 2012) and later his mother (in 2014) attempted to get help from HMRC to deal with this issue. It would seem that on every occasion they did not understand what needed to be done to resolve the problem, e.g. initially to “amend” the return and then after the expiry of that option to make an overpayment relief claim. When TaxAid first made contact with Mr S, he was living in hostel accommodation with his partner and two children, one of whom has brain damage due to meningitis. He was working as an employee under Pay as you Earn (PAYE) and enforced deductions from his wages to recover the erroneous tax debt were causing Mr S and his family unnecessary hardship. The TaxAid caseworker submitted the overpayment relief claim necessary to correct the tax return which not only cleared the longstanding debt of £1,530 but resulted in a refund of overpaid PAYE tax to be made to Mr S in the sum of £301.